Looking for a good stethoscope? Stethoscopes are very simple tools, but at the same time very important and key for evaluating health, whether your own or that of others. Whether you’re a medical professional or someone who just needs to. And of course, there are quite a few different kinds of stethoscopes to choose from, and depending on your intended use, you will have a few different options and choices to consider. In this review, we’re going to highlight some of the bests stethoscopes available for both home and professional use, and in a variety of different price ranges. Stethoscopes work by detecting and enhancing the vibrations that the human body makes, and then transmitting them up the plastic tubing into the hollow metal earpieces. The practice of listening to the sounds of the body is called auscultation, and depending on what exactly you’re listening for – heart or lungs, for example – there are several different choices of stethoscope to choose from. 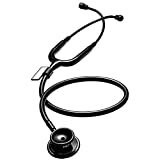 Generally, stethoscopes consist of a diaphragm, the wide, flat chest piece that is put directly on the patient’s chest or back and picks up the sound, and a tube, which carries the vibrations to the earpiece; and the earpiece itself, which makes the vibrations audible. Traditional dual-head stethoscopes feature both a diaphragm, and a smaller, concave bell side, which is meant for picking up lower-frequency sounds. These are the most popular kinds of stethoscopes, and one can easily switch between the two sides. There are also tunable diaphragms: Single-head tunable diaphragms are less common than dual-head stethoscopes, but are often used by specialists – such as cardiologists – because of their increased sensitivity. They can be tuned to pick up both higher and lower frequency sounds for accurate listening. Dual-head tunable diaphragms have tunable heads on both sides, where the application of pressure determines whether it picks up low or high-frequency sounds. What about the Ear piece? When choosing the earpiece, make sure they are comfortable and of high-quality; they should give decent isolation, so the sounds picked up the stethoscope can be properly heard, and should be comfortable enough to wear for long periods of time. You can always purchase replacement earpieces for your stethoscope, if you prefer. What Kind of Materials Are Stethoscopes Made From? When purchasing a stethoscope, ensuring you get a high-quality diaphragm head is very important, as precision and smoothness will ensure it picks up the most accurate sound. Look for a head made of smooth, fine materials such as titanium or stainless steel, and be sure they have been polished perfectly smooth both inside and outside. You may find some made of high-quality plastics, but titanium or stainless steel will sound much better and provide much more accurate sound. The tubing should be as thick and strong as possible; this makes them not only more durable and less susceptible to breaking and bending, but also ensures the sounds do not get distorted by a thin or bending tube. They are often made of rubber, but PVC plastic is a more durable, quality option. While you’re at it, try to look for a longer tube as well; they will be easier and more convenient to use than a tube that is too short. Are You Using It At Home Or For Professional Purposes? 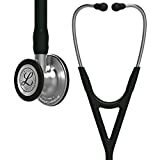 Stethoscopes are available in a variety of different price ranges, with some selling for as little as $50, while others can cost several hundred dollars. You should be able to find a nice mid-range option either way, and how much you need to spend will of course depend on what you’re intending to use it for; do you need it for professional purposes, or just to use yourself at home? 3M Littman is a well-known and highly-regarded stethoscope maker, and definitely on the most popular. The Classic III is an all-around excellent stethoscope for an excellent price. It has a dual-head chestpiece, made of double-sided, machined stainless steel, that is tunable on both sides, and provides excellent acoustics and sensitivity for picking up noise. Light pressure will pick up low-frequency noises while applying firmer pressure will allow you to hear high-pitched noises with excellent accuracy. The pediatric side of the chest-piece can be converted to a more traditional open bell by converting the single-piece diaphragm to a non-chill rim, and the “next-generation tubing” is resistant to skin oils and alcohols. It contains no latex or phthalate plasticizers, which can trigger allergies and other health concerns. The headset tension can be adjusted by squeezing the eartubes, and the ear tips provide a comfortable seal with good isolation. The Classic III is very high-quality and almost universally well-reviewed, giving excellent, accurate acoustics and adjustability for any purpose. It’s comfortable and well-constructed of quality materials. 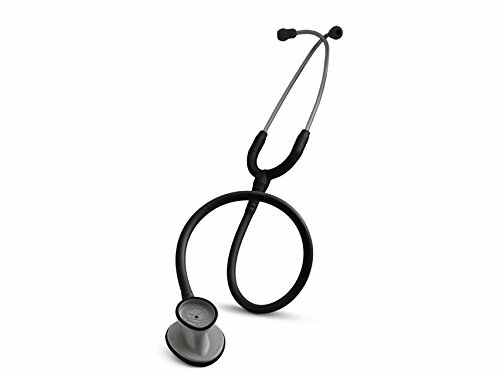 It’s also available for an excellent price, much less expensive than higher-end models but far superior to cheaper ones, making it a great choice for an all-around, versatile stethoscope. 3M “next-gen” tubing free of latex or phthalates. Not as comfortable as other stethoscopes. Ear pieces sometimes fall off. Our choice for a Budget Buy stethoscope is the 3M Littman Lightweight II SE, the less expensive cousin to the Classic III. It features a tunable diaphraghm with dual-sided chestpiece, with non-chill rims so as to be comfortable on the patient’s chest. While you can expect high quality, as it is from 3M Littman, the diaphragam is made from Metal and Resin Composite, as opposed to the machined stainless steel on the Classic II. Like the Classic III, however, it does feature 3M Littman’s next-generation tubing, free of latex and phthalates, and adjustable headset for any size head; the headset is also shaped and designed to fit properly and comfortably into the angle of the ears. The Lightweight II SE is not as featured as some of the other, more expensive options, but is still very high-quality, especially for its price range. It is very well-reviewed, and garners high marks from vets and other users. Thanks to its build, materials and price, it is best intended for home use, as opposed to professional, but is still an excellent choice for its intended use. Ear pieces aren’t quite as comfortable. The MDF Acoustica is an all-purpose, lightweight stethoscope made for home use. It’s handcrafted from aluminum, with a dual-head chestpiece featuring both a diaphragm and bell, which have been polished smooth for accurate listening. MDF also includes 3 pairs of MDF silicone ComfortSeal eartips – Small, Regular, and Large – so you can choose the size that fits your ears best. Eartips are also included by MDF’s Free-Parts-For-Life program, which guarantees you new earpieces (and other accessories) whenever you need; they even include a spare diaphragm. The earpieces, the tube, and the diaphragm, are all latex and phthalate free, for increased comfort and to avoid any reactions on the part of you or your patients. The MDF Acoustica also comes with a patented internal metal-alloy chamber in n the acoustic tubing below the spring, which keeps the tubing channel open for maximum sound transmission into the headset. It’s also the cheapest stethoscope on our list, but that is not a sign of its quality; it’s a well-constructed stethoscope with accurate, sensitive sound. While we recommend it mainly for home use, several reviewers use it for professional settings, and say that the sound and quality is excellent, even for a stethoscope at this price. Some users complained that the earpieces just aren’t very comfortable, as well. Overall, however, it makes a good, budget choice for using at home. Free Parts For Life program replaces earpieces and other pieces for free. Not as accurate or high-quality as other stethoscopes. The Cardiology IV is a high-end, quality stethoscope meant for use in cardiology. It has a tunable, dual-sided chest piece, with both the obligatory diaphragm and bell, machined out of perfectly smooth stainless steel. To hear both low and high frequency sounds, you simply need to adjust the pressure with which you press the diaphragm down. It also features dual-lumen tubing, which means there are two sound paths in a single outer tube; this eliminates any rubbing noise or interference that regular, twin-tubed stethoscopes may have. The tubing is, of course, 3M Littman’s “next-generation tubing”, which is resistant to stains and oils, more durable than regular tubing, and made without any latex or phthalates. The Cardiology IV is also one of the best, most accurate stethoscopes, and 3M Littman rates its acoustic performance at 9. It garners high praise and is positively reviewed by most users, who have great things to say about its precision and sound quality, comfortable ear pieces, and overall versatility in use. It’s built with Littman’s signature quality, and backed up by their 7-year warranty; if you have any problems, Littman will take care of them. Dual-lumen tubing for more accurate sound. 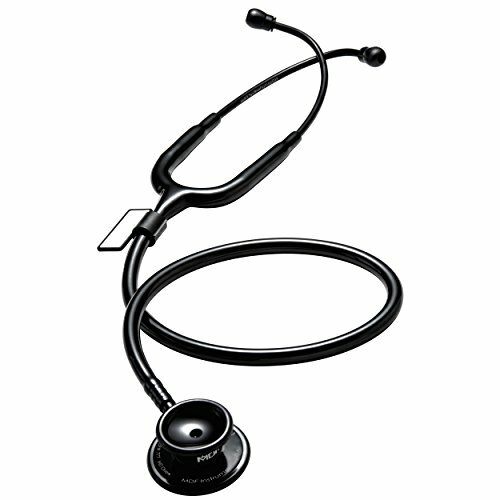 The ADC Adscope 601 is another high-quality cardiology stethoscope, made for professional use. It has a convertible chest-piece, which allows for both adult diaphragm/bell or adult/pediatric diaphragm configurations. There is also an Adjustable Frequency Design for enhanced acoustic performance. The chestpiece is CNC machined from surgical stainless steel for perfect smoothness and precision, and the heavy-duty, thick tube is bi-lumen, ensuring that the acoustics remain accurate and clear. The headset features large-bore stainless steel binaurals, and AdSoft silicone eartips, which are both comfortable and provide excellent seal and isolation for detailed listening. ADC also tosses in two spare pairs of ear tips, and an ID tag. The Adscope 601 is an excellent choice for professionals and doctors, and is highly versatile, working for both adults and children. The acoustic quality is excellent and accurate, especially with the dual-lumen tube, and stainless-steel diaphragm. A few users have pointed out that it is quite heavy, the tube is too stiff and uncomfortable for wearing for long periods, and that the eartips are not very durable at all; you may have to replace them frequently. Otherwise, the Adscope 601 is an excellent, versatile option for a professional working stethoscope, especially for use in cardiology. CNC machined, stainless steel diaphragm. Bi-lumen tubing for accurate sound. Can be heavy and uncomfortable over long periods. Ear tips are not very comfortable or durable. 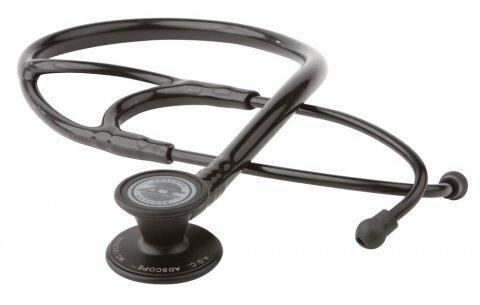 Our top pick for a versatile, all-around stethoscope is the 3M Littman Classic III, thanks to its high-quality build, accurate sound and middle-of-the-road price. The stainless steel, dual-sided chest piece is tunable to both high and low frequencies, while the special tubing ensures accurate sound and durability for everyday use. 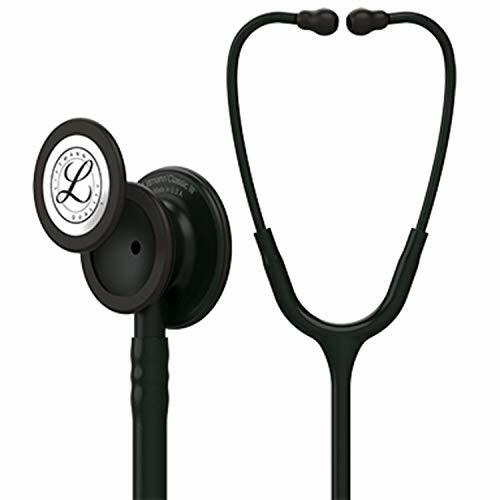 Our choice for a Budget Buy stethoscope is the MDF ACOUSTICA DELUXE, with its low price, quality aluminum dual-side chest piece and MDF’s Free Parts For Life, which guarantees replacement ear pieces, etc, at no cost to you. We recommend it mainly for at-home use. If you are a working professional and have a bigger budget, you may want to look into the 3M Littman Cardiology IV – the highest-end stethoscope on our list. It has a dual-sided, tunable chest piece with dual-lumen tubing, ensuring the loudest, most faithful acoustics in a stethoscope of its price range.